Sometimes, in thi s wango fango world of technology and viruses, and fails and computer snafus – things just work and work well. TypeMail is one of those things. I have more than one email account, as I think you should too – for personal, business, shopping categories, etc. What TypeMail does best is put all your mail accounts in one place and let you view them all together in a unified inbox OR separately. You can see and get to folders in these mail accounts easily as well as move/delete/mark mail with a minimal amount of taps. I applaud TypeMail for their fluid and clean interface. They also allow for many customizations to how you use/view your email in the application. I am currently using Gmail and Yahoo accounts with no problem in TypeMail, but they allow many other brands and types including Exchange, IMAP and POP3. Before TypeMail I had separate apps for all my email and they never worked consistently. Plus, I was always having problems with folders. 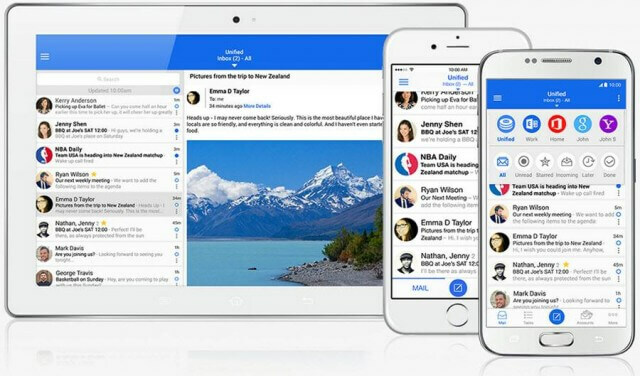 If you like having your email accounts in one place, organizing your email quickly, and being notified of incoming mail your way, then TypeMail is the app for you. Did I mention it’s FREE? What works for you is what’s important, Dave. I’m just trying to throw a few options on the table. Thanks for your sharing your choice. Great Jon! Remember to check all the setttings – it’s got a lot going for it.